Cast: Clint Eastwood, Bradley Cooper, Laurence Fishburne, Michael Peña, Dianne Wiest, Andy Garcia, Alison Eastwood, Taissa Farmiga, Clifton Collins Jr.
Warner Brothers Home Entertainment provided me with a free copy of the Blu-ray I reviewed in this Blog Post. Clint Eastwood has had an illustrious career both in front of and behind the camera with, at least to me, few blemishes, though one such stain was The 15:17 to Paris a film that was bad in just about every respect to the point I wondered if perhaps Eastwood lost his touch, though one has to remember both Sully and American Sniper (fake baby withstanding) were solid dramas. Now perhaps in his final on-screen performance is The Mule, one of those inspired by a true story films which indeed has maybe a strand of the real life tale behind of Leo Sharp. 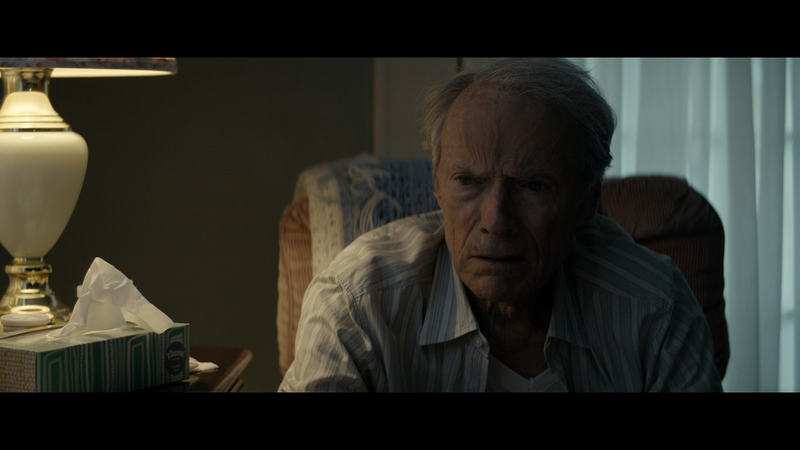 The plot follows Earl Stone (CLINT EASTWOOD), a 90-year-old man who is broke and pretty much ostracized from his family due his neglect over the years, including that of missing his daughter’s (ALISON EASTWOOD) wedding. When his horticulture business goes under, and desperate for money, he accepts the deal to transport a “package” from one location to another, for what was supposed to be a one-time deal. However, with the good money, he takes on more runs later discovering he has become a drug mule for a Mexican drug cartel and, eventually, even catches the eye of its leader (ANDY GARCIA). But with each run and the money increases, Stone’s life is endangered as the cartel, under a more brutal leadership, has their hooks in him. On the trail of this cartel is DEA Agent Colin Bates (BRADLEY COOPER) who is hunting down this mule who got on their radar with the amount of drugs being transported. Meanwhile, Stone also attempts to reconcile with his ex-wife (DIANNE WIEST) and daughter. The Mule, like Sully before, isn’t a powerhouse of a drama or anything but instead a nice little film telling a basic but tried and true story with some obvious plot points and on-the-nose dialogue-turned-allegory, in one scene at least. Still, while the supporting cast are all fine, if not serviceable in the case of Bradley Cooper as the investigation part takes a backseat, the focal point is Clint Eastwood who gives a great performance in what is considered his final performance, though seems to be going strong enough to continue directing. Speaking of which, Eastwood has never really been a stylistic director, pretty much allowing the performances to speak for it rather than having some odd angles or framing distract from the story at hand. And here he’s proven himself once more, nothing terribly stands out yet still with the somewhat slow and methodical pacing, gives the story more than enough room to breathe as well as give a more sympathetic view of the Stone character. 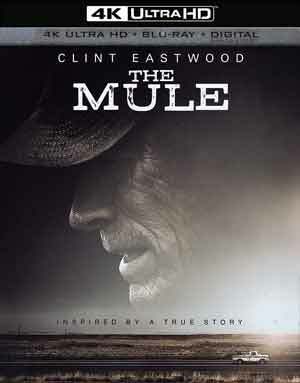 Even though there is only a kernel of the true story, something which I normally dislike with these type of movies (see: The Imitation Game), the fact that Eastwood and others chose not to use the real names and timeline and just use the idea of an elderly drug mule was good enough, plus unlike The Imitation Game, The Mule didn’t portend to have some societal message for the audience, doesn’t even have one on the effects of drug usage in America and the ineffectiveness of the ostensible “war on drugs”. In the end, The Mule is a pretty good movie. Nothing more, nothing less and probably was on the edge of my four star rating, if not for Clint Eastwood’s great performance and an effective, and appealing, enough plot. This release comes with a glossy slip cover and inside a redemption code for the Digital HD copy. Not heavy on features, but there is The Making of The Mule: Nobody Runs Forever (10:59) featurette with interviews by the filmmakers including Eastwood and other actors (Cooper, Fishburne, Garcia, Peña, etc.) talking about the characters and the story, and includes behind-the-scenes footage and the Music Video (2:54) for “Don’t Let the Old Man In” by Toby Keith. 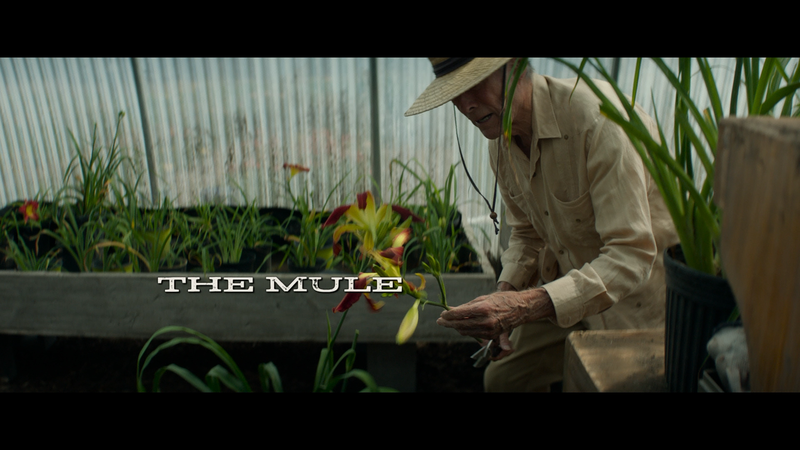 Warner Brothers releases The Mule onto the 4K format where it is presented with a 2.40 widescreen aspect ratio and given a 2160p high-definition transfer (1080p for the included Blu-ray). This isn’t exactly the most brilliant looking movie I’ve come across on 4K but still detail is fairly sharp and while I didn’t feel the HDR aided all that much with the colors, as it seems Eastwood shot the movie with a more naturalistic look anyway. The Blu-ray disc is equally as good looking also with sharpness to the picture though it was a noticeable difference versus its 4K counterpart. No Dolby Atmos track, unfortunately though considering the bulk of the movie is ambient noises, a score and dialogue, the included DTS-HD Master Audio 5.1 track is more than enough. 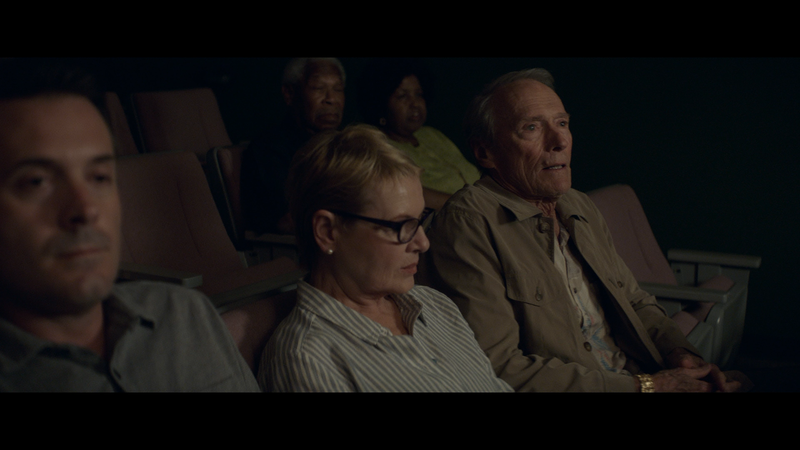 The Mule isn’t some profound film and even as a character drama, not terrible exceptional, but seeing Clint Eastwood back in front of the camera and delivering a great performance is well worth the cost of admission. This 4K UHD release from Warner Brothers offers up respectable audio and video transfers and some okay bit of bonus material.